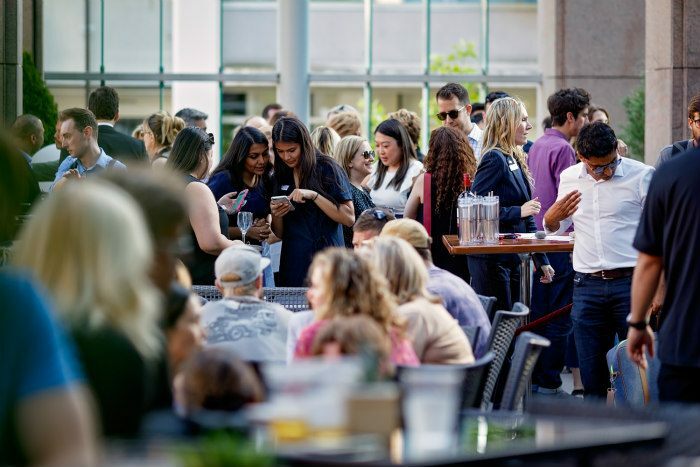 In a perfect world, you would be able to go to a rooftop patio and get a seat right away, but that’s not the case for most spots in Vancouver. Especially when the crowds pile in after work. It’s something we’ve all faced at least once; you arrange to meet friends and arrive at a local patio, only to be told that there’s a one hour+ waitlist. It’s devastating. What does a person have to do to enjoy a cold one in the sun? Thankfully, we’ve found a hidden gem where you can enjoy one of the best rooftop patios in town. 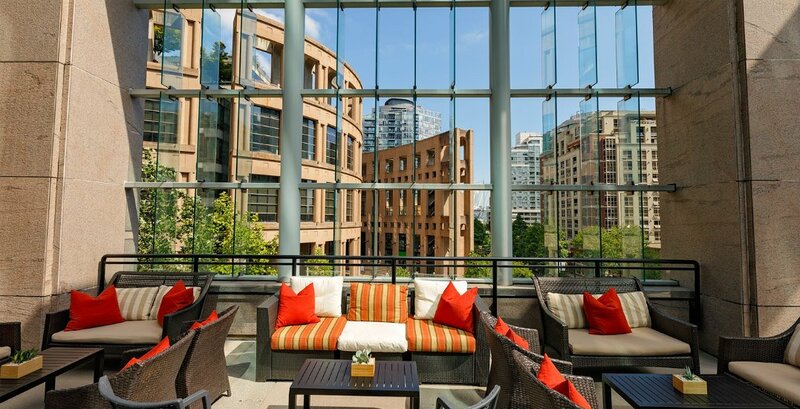 Located at The Westin Grand Hotel on Robson and Homer, this vibrant third-floor patio offers cool drinks, hot eats, and a live DJ spinning summer vibes. This is the hidden patio you’ll seriously wish you knew about sooner. 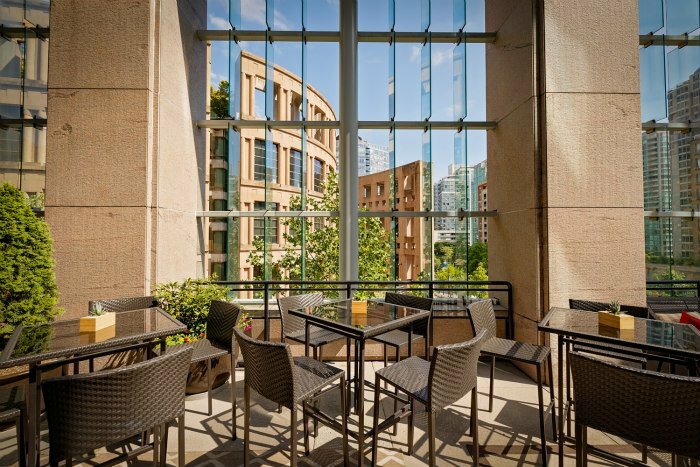 It’s located above the bustling streets of downtown Vancouver and offers views of Robson Street and Library Square. And you can literally feel like you’re at a chic rooftop party in New York while you’re there, sipping upon cocktails while a live DJ spins ambient tracks. With a laid-back vibe, it’s the perfect spot for after work drinks or just to chill out with friends in the sunshine. 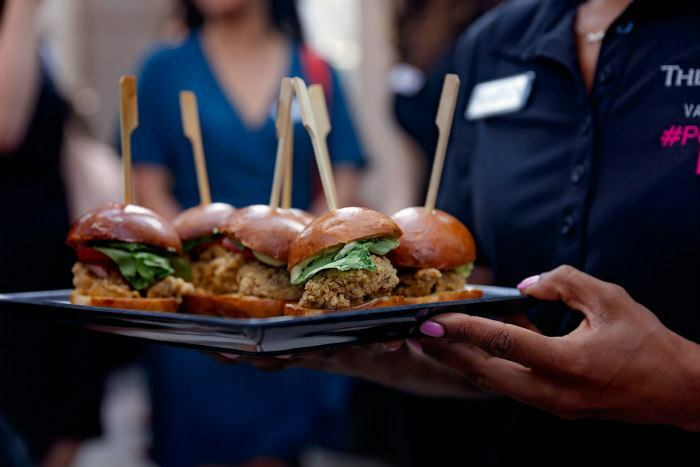 Plus, you can order good eats in between drinks to keep you going. Sliders galore? Um, yes, please! We know what you’re thinking; after work drinks never sounded so appealing.